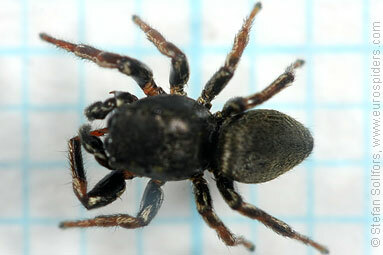 Male Heliophanus cupreus from above. 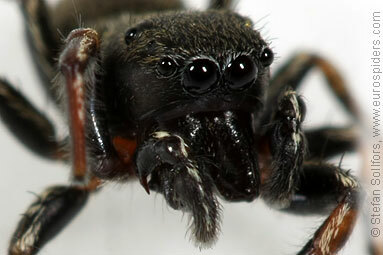 Male Heliophanus cupreus, close-up of the head. 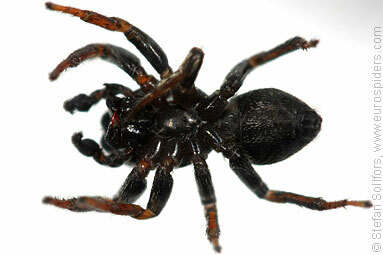 Male Heliophanus cupreus from below. 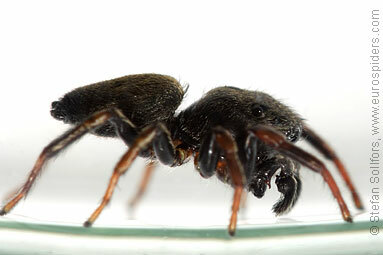 Male Heliophanus cupreus, side view. 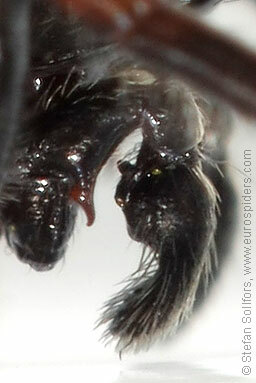 Male Heliophanus cupreus, close-up of the palp. 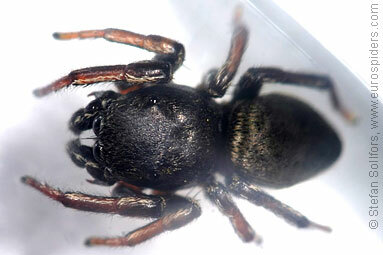 Male Heliophanus cupreus, 3,5 mm not counting the palps. 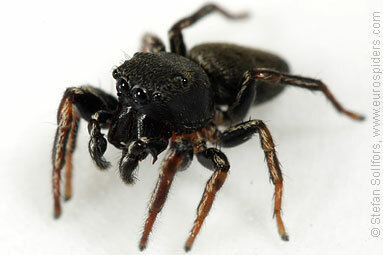 The jumping spider Heliophanus cupreus. Notice the white lines on the palps and legs.